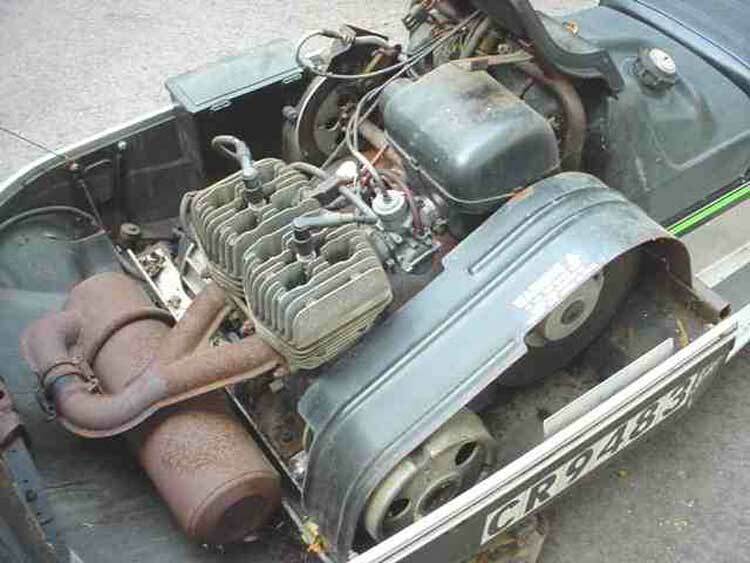 ArcticChat.com - Arctic Cat Forum > Snowmobiles > Arctic Cat Snowmobiles > Vintage 1992 older > Getting a Free Air engine to run better when it's warm out? Getting a Free Air engine to run better when it's warm out? I have found that some free-air Cats tend to get finiky when the weather gets warmer. And I've found that it's hard to tune the finiky-ness out with carb adjustments. I know that being free air engines; there's only so much you can do to help air flow over the engine to keep it cool. Running with the hood removed only helps a little...and to be honest, I likda like running with the hood installed haha. I'd like to think that part of the problem is carburetor related. Does anyone have any experience with carb upgrades on free air cats? I feel like a nice mikuni flat slide would probably offer better tunability and better performance. Thoughts? 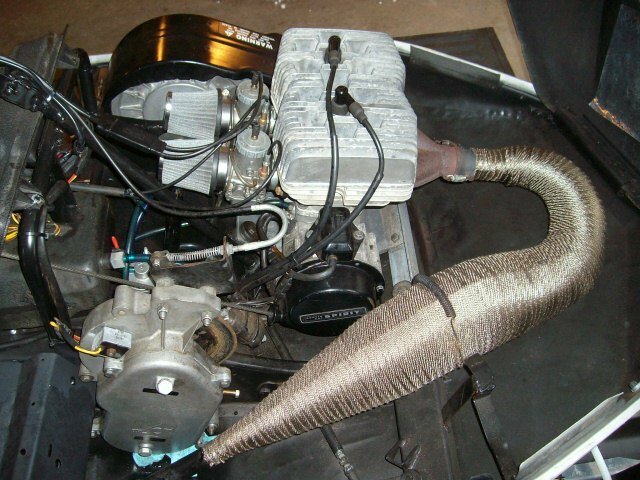 its rather common that a snowmobile made to run in cold air will run poorer in warm air, air changes, so yes, you can I am sure adjust carb to run better in warm air, but then will need to again when its cold again? as well as with altitude changes that also effect running due to again air changes! better heat shields on exhaust to get heat out and away from motor faster? these are about all I can think of? 2007 Mileage: No trail rider. I would wrap the pipe with DEI wrap, https://deipowersports.com/products/...ps-accessories. Then you will need to rejet way lean depending on temps. A flatslide won't benefit that much more than a roundslide on a small engine. What machine a engine do you have? I thought about completely removing the vents from the rear side of the hood. I do have a spare hood that I could cannibalize if necessary. As far as a fan goes....I guess I could go F/C haha. Its a 1979 Jag 3000. I've put flat slides on other small 2 strokes and there is a noticeable difference. Especially on dirtbikes. More snappiness. I should also add that I am worried about locking up the engine as well. Seems like free air sleds have a reputation of blowing up when its warm...sometimes even idling. I may get some cylinder head temp sensors as well. DO not under any circumstances go "lean". You'll seize it for shure. In the free-air days we would go rich to cool the combustion temp down when it got warmer. Did the same thing in my old Panhead too. You lean it out and you will melt a piston on a warm day. Last edited by guudasitgets; 04-15-2019 at 08:45 PM. Over the years I made up my mind that flat-slides are a pain in the arse, that the common round-slide are more tuneable. The only thing that I ever found to make a free-air ever-so-slightly less temp sensitive are Swaintech coatings. Every engine I rebuild gets at least the pistons and heads coated. Think about that the next time a trail is shut down because of loud sleds. The shooting stops when the looting stops. Last edited by guudasitgets; 04-17-2019 at 04:41 PM. Anyways I do know you don't want to jet way lean thats rolling the dice[/QUOTE] Jetting lean accordingly. If your jetting anything, you read your plugs. If your running a snowmobile with factory jetting, your running rich even in sub zero temps, the factory does that so the regular Joe won't burn it up. If your going to run in 30+ temps, you need to lean it down or it will run like a pooch. I race, and even a 10 degree temp change requires rejetting. A trail rider doesn't need to get that finicky, but a 30 degree difference will improve engine performance with jetting. As a side note, back in the 60's and 70's to present, i don't recall any free air's blowing up or melting pistons for no reason. Running too lean, an air intake leak, not the right oil/gas mixture, gaskets, can all contribute to a melt down. That's why you read your plugs. To cut down on heat, because the whole exhaust is in front of the engine, wrap the exhaust with heat wrap. It will cut the heat under the hood over 50%.